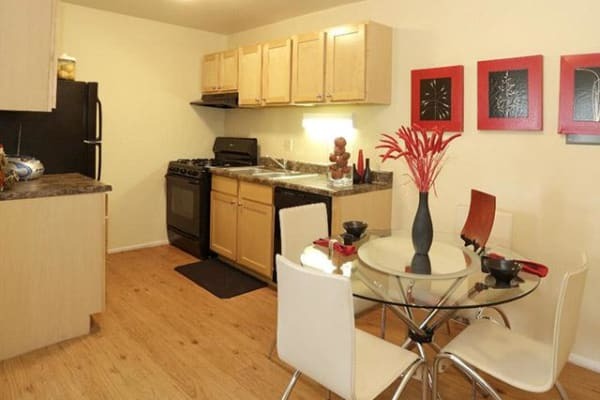 Discover a roomy new apartment home in Bolingbrook. 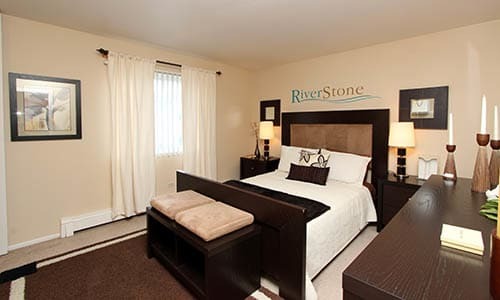 Riverstone Apartments offers well-priced studios, one, and two bedroom homes just 25 minutes from downtown Chicago. Modern floor plans and custom design upgrades create an ideal living space for individuals and families. Apartment homes range from 368 to 862 square feet in four unique layouts. Every home features a gourmet kitchen with black appliances and extra-large floor plans. Select your ideal home from four distinct floor plans and a range of modern upgrades. Studio apartments are a great option for individuals or couples looking for an efficient home that doesn’t compromise on amenities or storage space. With 368 square feet, studios feature a large living space, separate dining area, and oversized closet. One bedroom apartments for rent are 672 square feet. Choose amenities that matter to you, such as an eat-in kitchen, larger bedroom, or extra closet space. Two bedroom apartments are 758 to 862 square feet and have either one or two bathrooms. Our largest unit includes a master bedroom with walk-in closet and extra living space for you to enjoy. 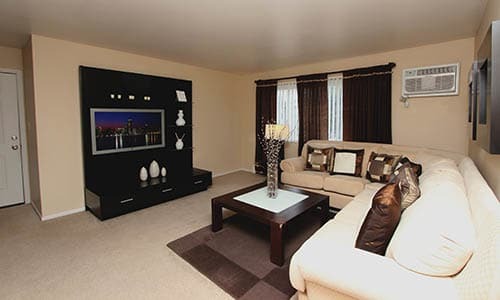 See for yourself why Riverstone Apartments is the top choice for Bolingbrook residents. Call us today to schedule your personal tour.